One way to store more data when you are low on hard drive space is by using compression to make the files and folders you already have on your computer take up less space. 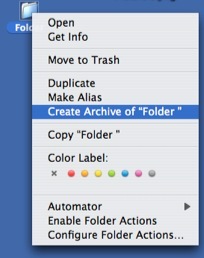 On OS X, the compressed version of a folder is known as an archive. The archive will have the same name as the folder it is based on. The icon will have a zipper on it.